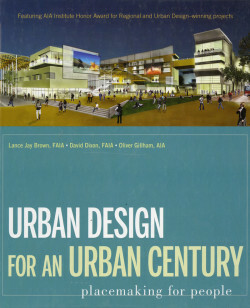 This book offers a comprehensive introduction to urban design, from a historical overview and basic principles to practical design concepts and strategies. It discusses the demographic, environmental, economic, and social issues that influence the decision-making and implementation processes of urban design. The Second Edition has been fully revised to include thorough coverage of sustainability issues and to integrate new case studies into the core concepts discussed. Ancillary materials, including PowerPoint slides, sample questions and projects, and bonus case studies, help to enrich understanding of this topic.